Congratulations to Mark, April’s Fan of the Month! Mark will receive a special Terri Clark gift pack and will be featured on TerriClark.com and Terri’s socials throughout April. 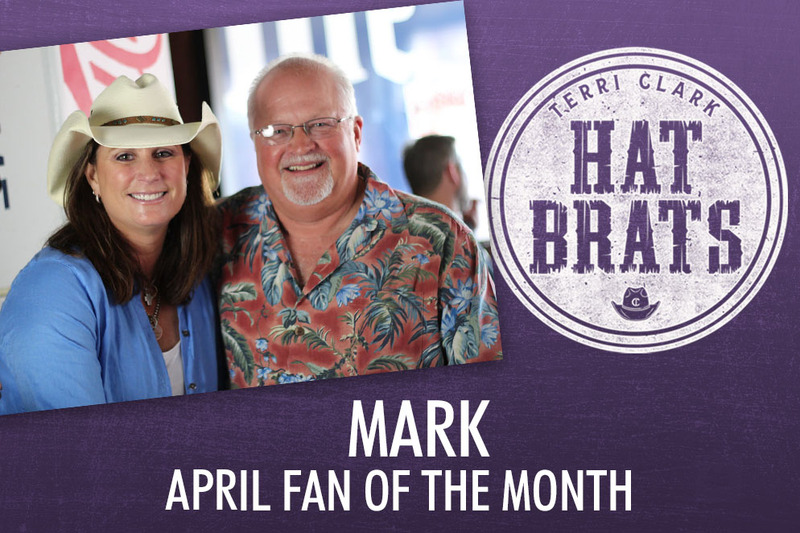 If you would like to be considered for May’s Fan of the Month, join the Terri Clark Hat Brats Club and submit your entry. My favorite is when I took my oldest grandson Ryan up into Canada for her Back To My Roots Tour. It was an awesome concert experience and my grandson, who’s favorite band is The Foo Fighters, was impressed. Win A Chance to Meet Terri at The Opry!